Education is filled with many different practices and systems to support the work—some of which unfortunately conflict. Do you share daily learning targets with you students? Are you required to display specific learning objectives? Is it part of the teacher evaluation process in your building? This new STEM Teaching Tool highlights how this can be a problematic, although widespread, practice if we honor the image of 3D learning in the NRC Framework. 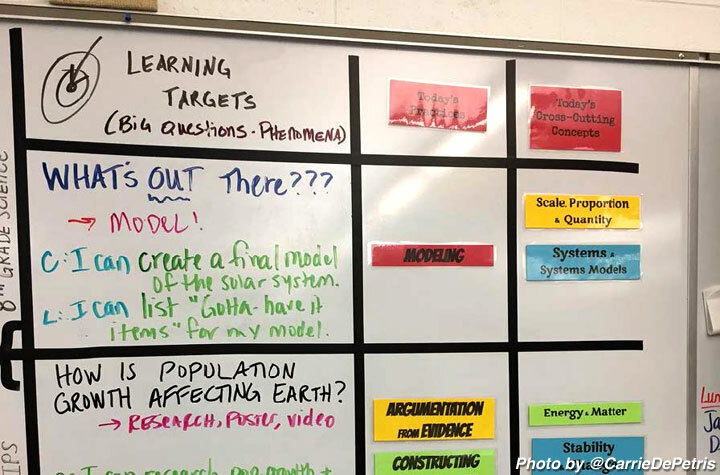 The brief makes the case for not sharing specific learning targets with students and presents a range of alternative approaches to consider that are a better fit with the vision of 3D learning.